Neck pain nocebo describes a psychoemotional effect imparted upon a patient through the diagnostic process. Nocebo is a complicated idea to understand, but is a documented factual occurrence throughout the healthcare sector. Let’s look at what it means to suffer a nocebo effect and then explore how and why it occurs, as well as how to prevent it from causing you more pain. To put it simply, a nocebo is a psychoemotional suggestion that causes harm. Nocebo occurs in neck pain sufferers most often when a significant spinal issue is discovered and diagnosed. The power of the diagnosis can worsen and extend the duration of symptoms through the power of psychological conditioning alone. Nocebo is almost always a factor in chronic pain conditions and can actually be the primary cause of symptoms in many patients, especially when no pain existed prior to the diagnosis being made. This investigation helps patients to recognize the nocebo phenomenon and reduce its effects on health and functionality. Nocebo is the diametric opposite of placebo, which is a well known and universally understood part of medical science. We all know that a patient can be made to feel better through the power of the placebo effect. This occurs when a patient thinks that a given treatment will help them, despite the therapy having absolutely no inherent curative power. In essence, the treatment is a fake, but the power of the mind can give it actual efficacy to heal. This wondrous circumstance has fascinated doctors for years. The placebo is well documented in medical literature and can even be credited with seemingly miraculous cures for many diseases, including cancer. 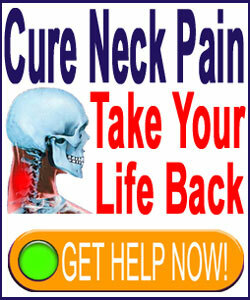 What Causes Neck Pain Nocebo? Nocebo is a combination of factors all working together against you. It is the diagnosis itself. This inspires fear. It is everything you know and fear about the diagnosis which was explained to you by your doctor and the things you already know about the condition from societal interactions. Nocebo will occur to one degree or another, but can be worsened or negated through many factors. The single greatest influence over the effect of a possible nocebo being imparted is the bedside manner and approach of the diagnostician. If the patient is made to feel fearful purposefully or accidentally, then the nocebo will be heightened. Meanwhile, if the patient is given a truthful prognosis full of facts and knowledge, the nocebo will be greatly diminished. It really comes down to playing up the nocebo or talking it down. The first involves cases where the doctor wants to inspire fear to get the patient to acquiesce to the treatment recommendation. This may be chiropractic, physical therapy or surgery. This type of nocebo is always a result of financial motivations. To put it simply, the doctor wants to make money and in order to do so, you need to be so afraid of the diagnosis that you will do whatever they recommend. This is incredibly common in the medical industry. The other very common type of nocebo occurs during back or neck injury litigation. In these cases, the plaintiff’s lawyer will provide all the nocebo the patient needs to feel as if they have been damaged beyond the reality of their true situation. The plaintiff’s doctor, who is recommended, of course, by their lawyer, will also contribute through their dealings with the patient. A fearful and symptomatic plaintiff makes for an easier win. Who cares if this person suffers the rest of their life once the lawyer and their puppet doctor get paid? We have written much about this psychoemotional effect in relation to back and neck pain. To learn more, use the site search function and look for nocebo. If you want help in overcoming the nocebo effect of neck pain, then you must learn more about our proprietary Cure Back Pain Forever Program. 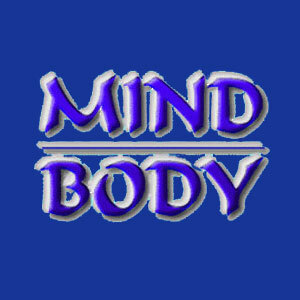 This is the only solution for truly ending chronic neck pain due to mindbody causation.